Poetsch believes VW can overcome the emissions crisis,according to a newspaper report. BERLIN (Reuters) -- Hans Dieter Poetsch, the incoming chairman of Volkswagen AG, sees the global scandal around the rigging of emissions tests as a threat to the company's viability, albeit a surmountable one, a newspaper reported. At an internal company meeting this week at VW's headquarters in Wolfsburg, Germany, Poetsch described the situation as an "existence-threatening crisis for the company," Germany's Welt am Sonntag reported in a release ahead of Sunday's publication. 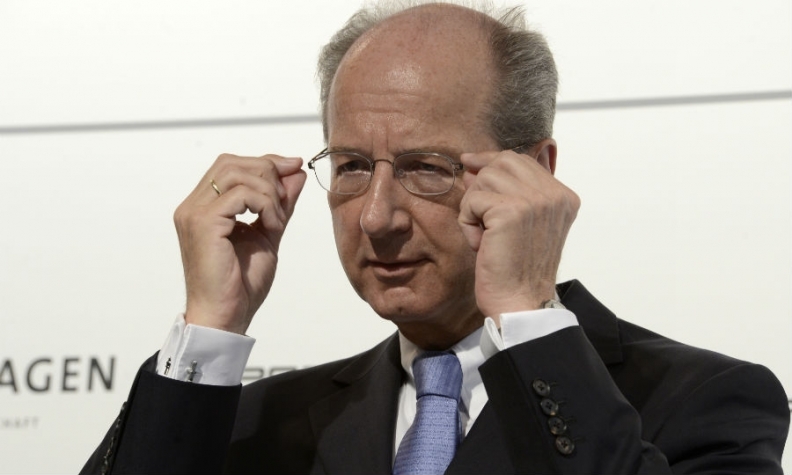 Poetsch also said that he believed VW could overcome the crisis, the newspaper said. A VW spokesman declined to comment on the report. Europe's largest carmaker violated diesel emissions tests in the United States and Germany's transport minister says it also manipulated them in Europe, where VW sells about 40 percent of its vehicles. VW has set aside $7.3 billion (6.5 billion euros) to help cover the cost of the scandal, but some analysts think the final bill could be much higher. Moody's, S&P and Fitch have all put negative outlooks on their rating of VW's creditworthiness, meaning they see a risk of a downgrade. Citing an unnamed insider, Welt am Sonntag said VW's planned investment budget of 100 billion euros through 2018 is under review for cuts. VW declined to comment. Sources close to the board told Reuters this week the supervisory board was looking at ways to reduce costs to try to avoid a downgrade in the company's credit ratings, which would lead to higher borrowing costs. They said, however, it was not talking about asset sales, after calls from some analysts for the automaker to sell its heavy truck business or brands such as Bugatti, Ducati and Lamborghini. VW has said it will refit up to 11 million diesel vehicles that contain software capable of skirting emission tests. It also faces potential fines from regulators and prosecutors, lawsuits from consumers and investors, and a possible hit to sales from the damage to its reputation.